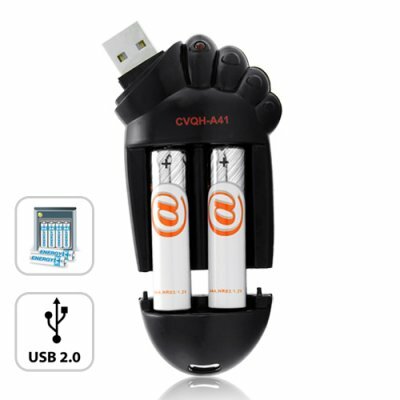 Successfully Added USB Battery Charger - Foot Shaped Tech Gadget to your Shopping Cart. This Battery Charger is not just a highly useful tool, but the unique shape also makes it a great and useful gift that nobody has ever seen before. So get one for yourself and one to give to your buddy, trust us, they will thank you for it and will probably buy you a fee pints as a thank you. Available in our warehouse right now, order today and we'll express ship it out tomorrow. Brought to you at an unbeatable price from Chinavasion - your best source for high quality, low priced gadgets.